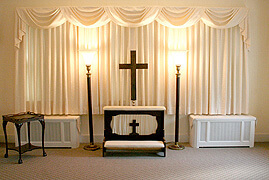 The Wareham Village Funeral Home proudly serves all faiths, customs, nationalities and lifestyles. Traditional funeral services include visitation or calling hours the night prior to the service or just prior to the service either at the funeral home or at the place of worship. Following the service, a brief prayer service will conclude the services at the place of interment. We believe that funeral services should reflect the life of the deceased. They can be simple, traditional or elaborate.